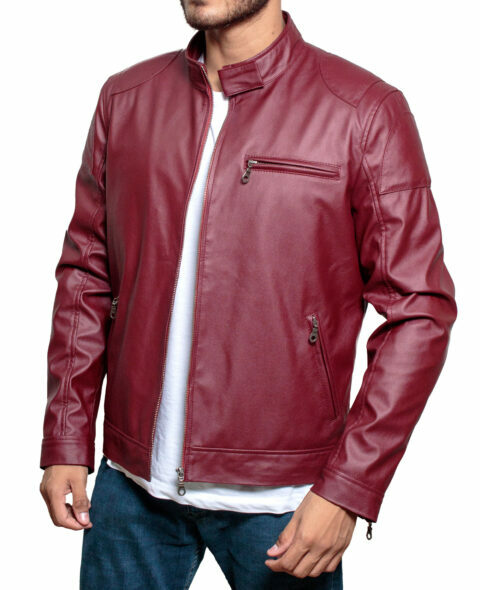 This jacket is our very famous “”High Street Slim-fit Biker Faux Hooded Leather Jacket.”” The dark brown color gives the jacket a vibrant appearance, making it the ultimate manifestation of style, desirability, and quality. You can enjoy this vintage style while enjoying a fun ride on your motorbike! Created with high-quality leather, the jacket sports a hoodie, which is removable, based on your own choice. It has a front zip closure, with four external and two internal pockets. The jacket is available at a very nominal rate, so place your order now.